I woke up this morning to the sound of fairly strong rain. 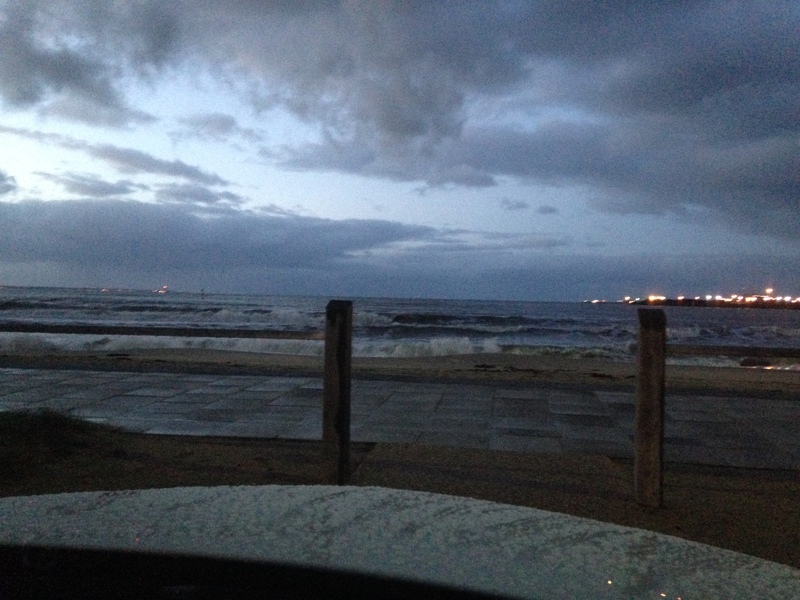 Not ideal conditions for my first Bay swim of the year without a wetsuit but I pulled myself out of bed, jumped in the car, and headed off to Port Melbourne – Sandridge beach. I had arranged to swim with another guy I met at Aqaurena, more so for the safety element – not really knowing how I would handle the cold and whether I would end up freezing up and requiring rescue. On arrival, this was the view I was greeted with. High tide, waves breaking and light drizzle. My car was saying air temperature of 8 degrees and the internet was saying water temperature of 16 degrees. I would be lying if I said it wasn’t a shock to the system on entry however once I started swimming my body quickly acclimatised and I was fine. Swam around 3km around the no boating poles and rode a few waves back to shore. It was cold getting out which made the cold showers almost feel warm. Never run the heater in the car on maximum before!